my name is Silvia, I'm from Germany and I have been collecting BJDs for almost 8 years now. Some time ago I got infected by the porcelain BJD virus and since then I'm always looking for new beautiful dolls. Happy to meet all of you ! we're kind of neighbours - I'm French ;-) Welcome here! Your avatar is a doll by Sabine Vogel, isn't it? She's beautiful. Welcome, Silvia! 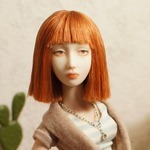 I love your avatar, gorgeous doll - is she yours? I hope to see more of her if she is! Thank you very much for the warm welcome fawkes and Snegurochka . Yes, you are both right. 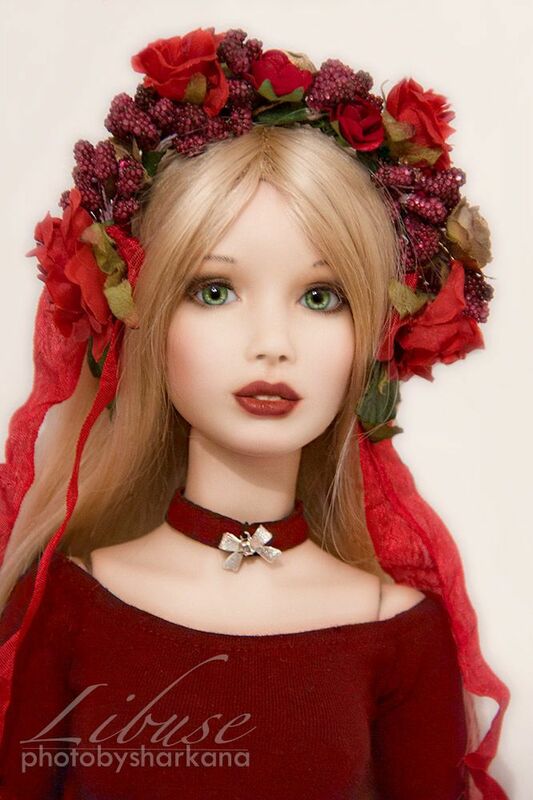 The doll in my avatar is indeed by Sabine Vogel and she belongs to me. She was the first porcelain doll that I bought - and I love her to pieces. I really do need to take more pictures of her though. Unfortunately I don't have many of her right now. But I do promise that I will take the time and do some proper photos with her once I will be back from Lyon next week. May I ask what dolls you have in your avatars? I admit that I am not so doll savvy, but I'm always curious to learn more. My doll is Kisa, by JRDolls. She was my first porcelain BJD, and still one of my very favorites ^_^ Your doll is gorgeous, I look forward to seeing more of her! Hello sharkyra! Welcome to the forum! This is so exciting to me, to meet the owner of the doll from the Sabine Vogel! Your doll is extremely beautiful, just to die for! Oooh are you comming to Ldoll? Yes, hasel, I'll be going to LDoll once again this year. We will surely meet there . Snegurochka, now you made me curious. I haven't heard of JRDolls before, but now I do want to look into them! Hello sharkyra and welcome to this forum. Your doll is absolutely stunning. Love how she is painted, she looks soo real. Please make more pictures of her ones you have time. Welcome to this wonderful forum sharkyra, your doll is very sweet and she looks like real person!!!!! Absolutely gorgeous avatar and doll. Looking forward to seeing some more pictures! Welcome to the forum!